This exercise is intended to increase the stretch at the front of the hip. 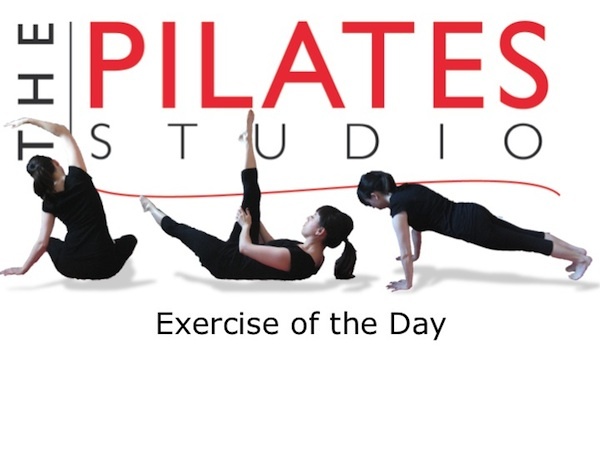 By elevating the pelvis the position of this exercise can increase the length found at the front of the hip. To do this exercise you will need a mat and a soft ball. Start by lying on your back with the soft ball underneath your pelvis. Then hug one leg towards your chest, and stretch the opposite leg long beneath your body. Be sure to reach the heel towards the floor. Continue your breath as you are reaching your leg long away from you. Keep your heel connected to the ground. To continue opening the hips along different fascial lines you may also do ankle circles with your heel connected to the ground. Repeat with the other leg reaching out long beneath you. 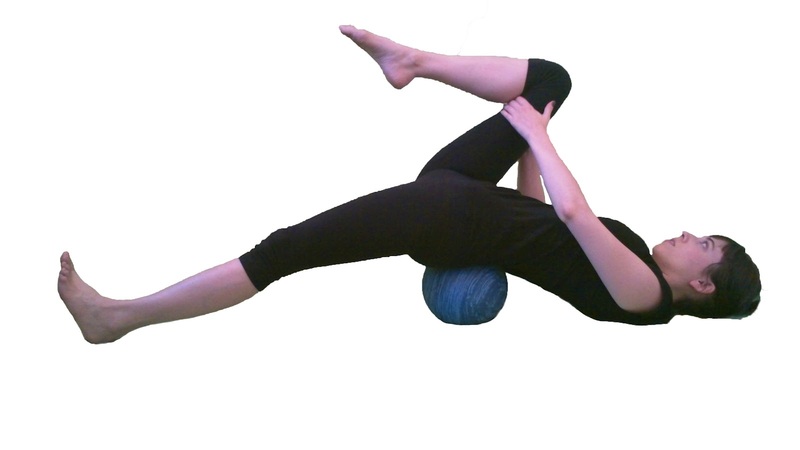 The soft ball provides a certain amount of support for the pelvis, but you want to be sure that the back remains neutral as opposed to over arching. If you feel like your spine is bending too much then hollow out the abdominals and try to pull the pelvis away from the legs.